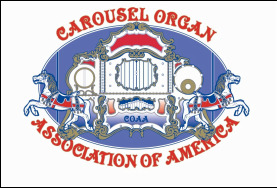 The Knoebel Family and I invite you to gather at America's finest traditional amusement park for what in past years has proven to be an awesome and memorable organ rally. Free parking, free admission and free entertainment are hallmarks of Knoebels hospitality. In addition, they will treat registered Rally guests to their delicious signature barbecued chicken dinner on Saturday. The bi-annual Knoebels rally has set the record for COAA rally registered attendance; in 2004, 2012, 2014 and 2016 (marking Knoebels’ 90th anniversary season, having opened on July 4, 1926) so come celebrate and see for yourself what brings so many of our members! Because Knoebels is a busy, operating amusement park, safety considerations require that large organ arrivals and placement must be done no later than one hour before nor earlier than half an hour after park operating hours, as noted below. Choose a time convenient for your travel plans. More information about the host hotel, can be found under the tab "host hotel". Several other hotels are available in the area, all near the host hotel or at nearby I-80 exits approximately the same distance from Knoebels. There are a few B&Bs near the park and the park itself has a fully-equipped campground. Since the area has many events during this time of year, rates are higher than usual and room or campsite availability is limited, so please make your lodging arrangements early.